Trick out your car, truck, or sport utility vehicle (SUV) with accessories from some of the brands we carry. 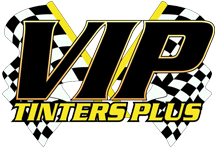 VIP TINTERS PLUS in Conroe, Texas, can install your selected truck accessories - often while you wait. Get great protection and affordable style for your vehicle with TrailFX SUV and truck accessories. 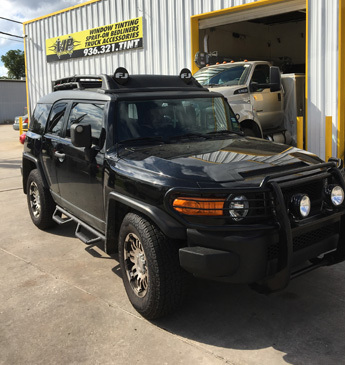 We can install everything you need from grille guards to tool boxes and bed protection. While we carry a wide range of TrailFX accessories, on-the-spot availability of some items may be limited. You can always ask about availability before coming in. Add an invisible, durable layer of protection to your car's paint job. We can add a clear bra solution to your vehicle from SunTek. This film helps keep your car or truck looking good without anyone knowing it's there. The paint shines vividly through the clear protective coating which was developed to fight against small road debris, nicks, and insects. This is best option for keeping your vehicle in prime condition.